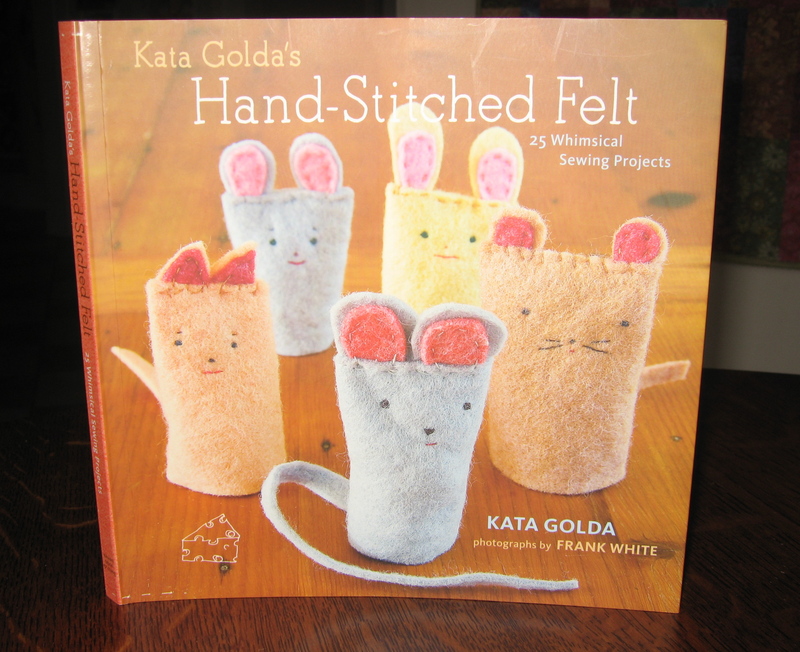 Kata Golda’s recent book, Hand-Stitched Felt, is a must have for anyone who likes to embroider – or thinks they might want to give it a try. Her approach is forgiving but the end result is whimsical and perfect in its own way. 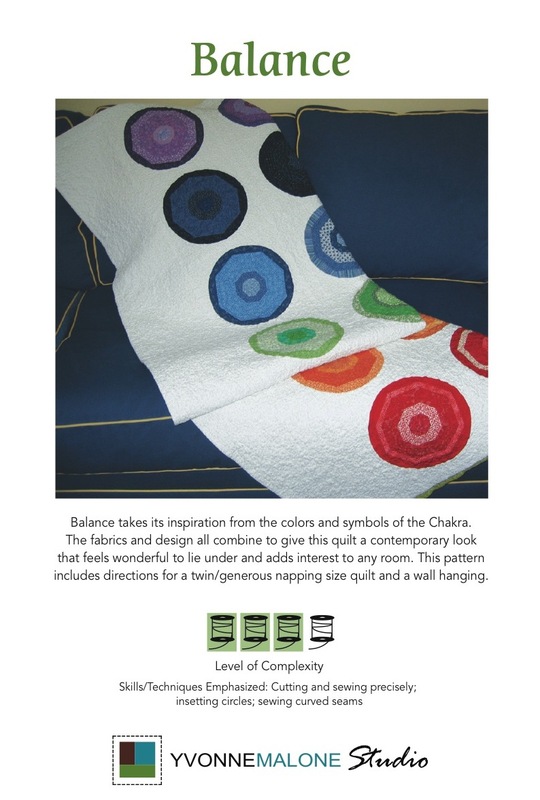 In the introduction, she sends her readers off with this closing sentence: “With this book, I hope that you, too, will be inspired to create your own large, colorful, and uniquely imperfect stitches.” What a nice break from the precise quilting I am used to! 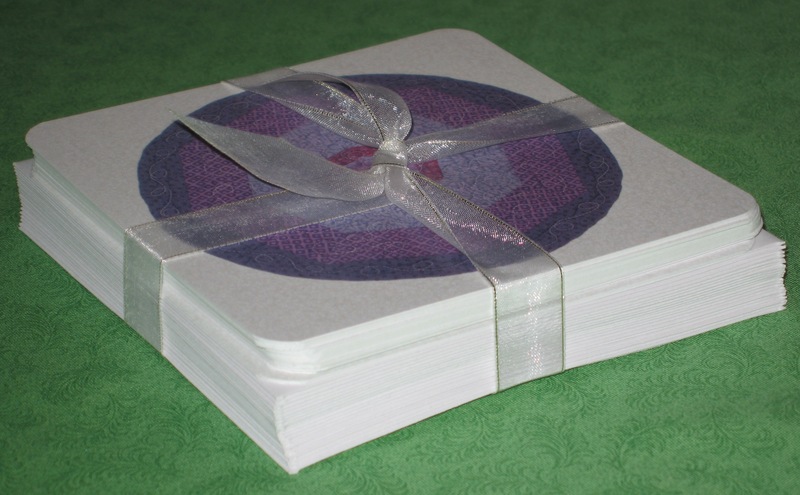 The sections on “Tools and Materials” and “Stitches and Knots” provide the necessary background to get started on the 25 projects included in this book, all of which employ basic embroidery stitches and only a needle and thread to complete (i.e., no sewing machine required – yeah!). The text and pictures are clear – there is no “say what?” reaction when you read through the directions the first time. It took about 30 minutes to whip up this charming little picture for a friend’s baby boy. 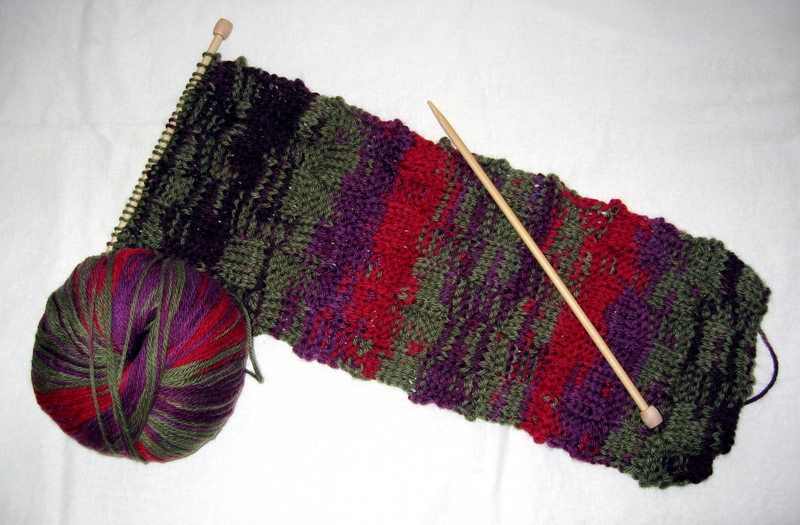 While Ms. Golda explains how to use a template to get the stitches in the right place, it is her section on “Drawing Stitches Freehand” that I really liked. It reminded me of how the artist Paul Klee explained “a drawing is simply a line going for a walk ,” and it felt this way when I began to stitch the details on this little bunny. I will definitely be tucking some of these projects into my purse to work on when I find myself with a bit of unexpected down time away from home. 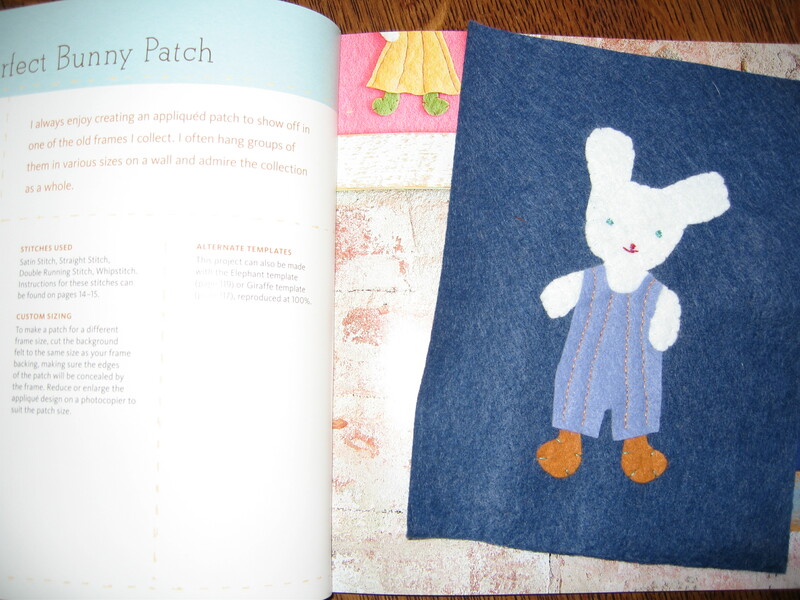 As an aside, this book is perfect, too, for younger stitchers (I’d say 8 and up). It would make a great gift when combined with some wool felt, embroidery floss, embroidery needles and a pair of scissors, all placed into a sewing basket. 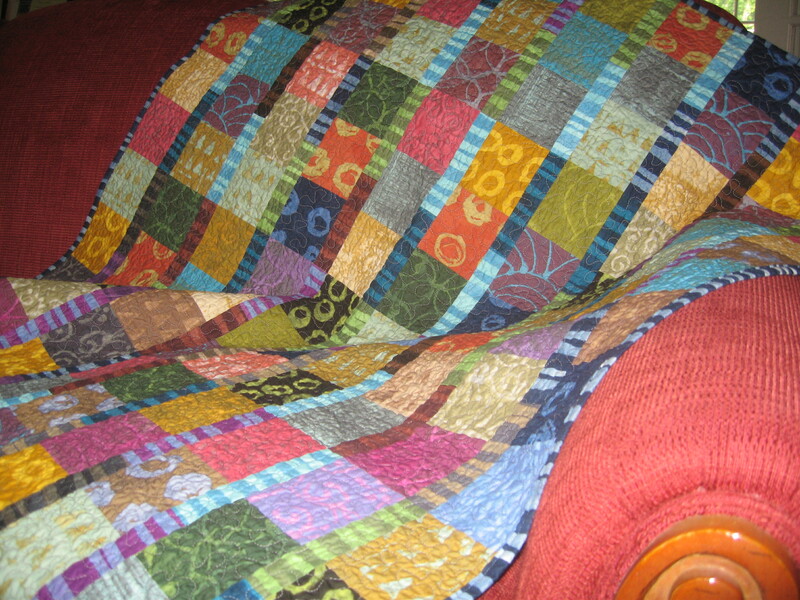 For now, I am off to find a frame to finish this project up. 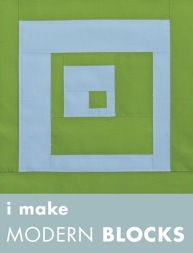 If you want to see more of Kata Golda’s work, visit her website here. We started making these sugar cookies for school parties when my son was in preschool. They’re fun to decorate with a simple confectioners sugar icing and look great regardless of the age of your helpers! The first time we made them, my son stepped back and said, “Hey! These look like those paintings we saw where the guy threw the paint.” Thus, we now refer to them as the Jackson Pollock Valentine cookies. We varied Mr. Pollock’s technique slightly: We drip the frosting on rather than splatter, a method that is a bit kinder to the kitchen walls. 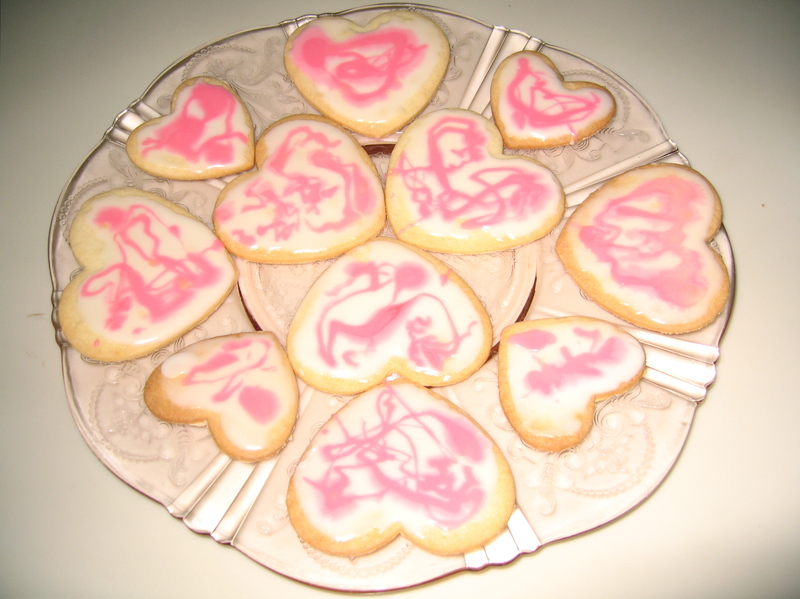 After baking the cookies, let them cool for about 30 minutes and then mix up a batch of confectioners sugar icing, tinting some pink and leaving the rest white. Next, spread a thin layer of white frosting on the cookies (working with about ten cookies at a time) and then drip lines of pink, letting the lines fall from the end of knife or coffee stirrer dipped in pink icing. A side note here: My favorite sugar cookie recipe is out of Carole Walter’s Great Cookies cookbook, the dough is SO simple to work with – you just have to remember to slide them off the cookie sheet within one minute after taking them from the oven or risk having them crack.